We had so much fun this year. The weather was perfect. 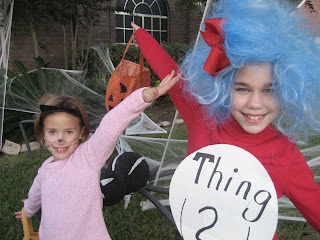 The girls were so excited to dress up in their costumes. 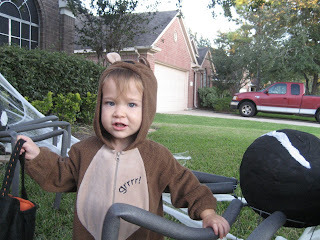 Juliet was Little Bear, Greta was a black cat, and Kamryn was the cutest Thing 2 ever. Her wig was perfect!!! We started the evening out with a family dinner and then headed out. 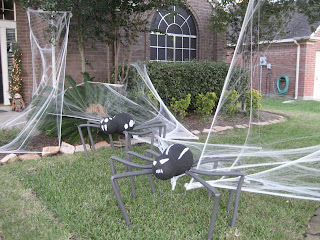 Daniel and Greta made the spiders for the yard and looked so cute. We are looking forward to next year.